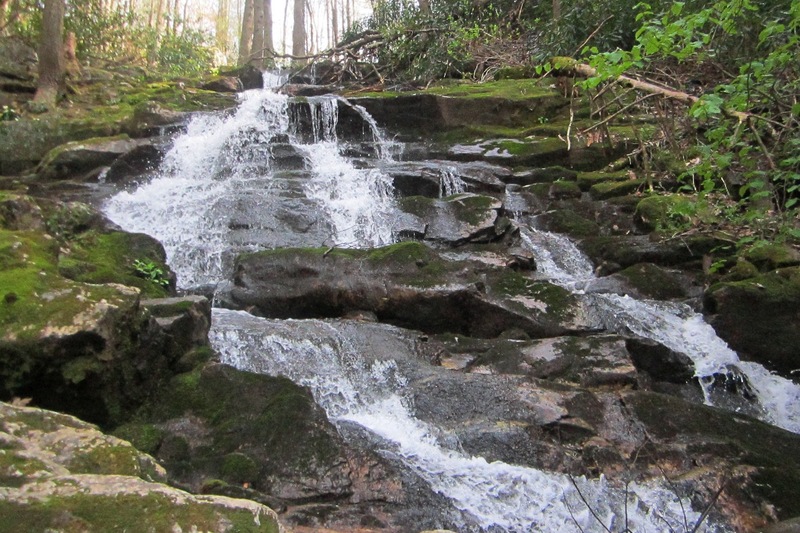 This article reviews the newest federally protected area in Southwest Virginia, the Seng Mountain National Scenic Area. In 2009 the United States enacted the Virginia Ridge and Valley Act of 2008. Sponsored by Senator John Warner (R-VA) and Rick Boucher (D-VA), the Act preserved over 50,000 acres of wilderness areas in the western part of Virginia. 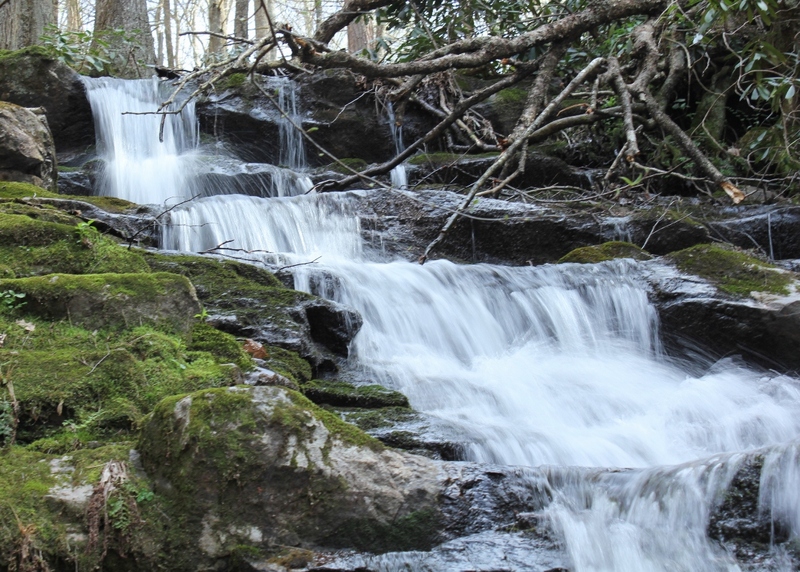 Part of the Act created the Seng Mountain National Scenic Area, a 6,500 acre tract, and the Bear Creek National Scenic Area, a 5,500 acre tract (I will review the Bear Creek National Scenic Area in a future article). See 16 U.S.C. § 546b. The designation of these tracts as “scenic areas,” as opposed to “wilderness,” was a compromise to allow continued non-motorized recreational use by cyclists (mostly single track mountain biking). The area is located in the southern section of Smyth County and is about 30 miles as the crow flies from Abingdon. Its boundaries are roughly Route 600 (Skulls Gap) on the west, Hurricane Campground on the east (off of Route 16), Forest Road 84 near the top of Iron Mountain on the south, and private land near the Stony Battery community on the north. There are two major single track trails that cross the scenic area, Jerrys Creek Trail on the west side, and Rowland Creek Trail on the east side. 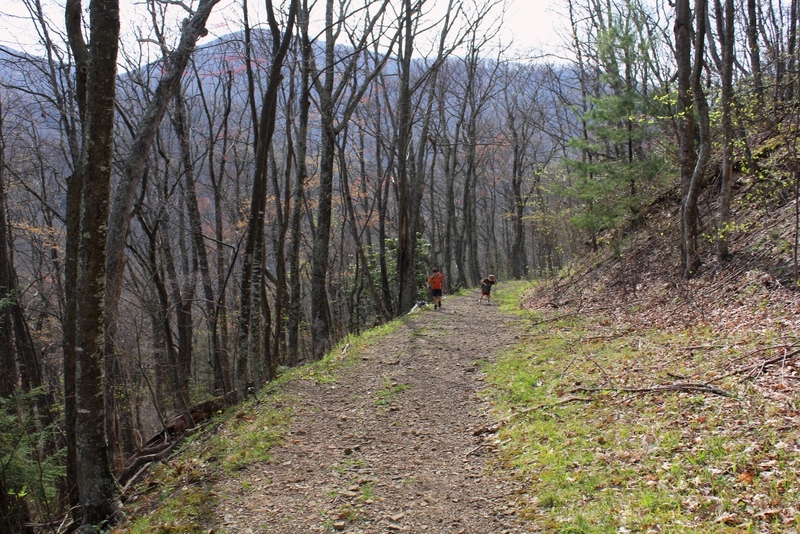 Each of the trails follows a small creek that runs down the mountainside. The high point in the scenic area is Round Top Mountain, 4626′. 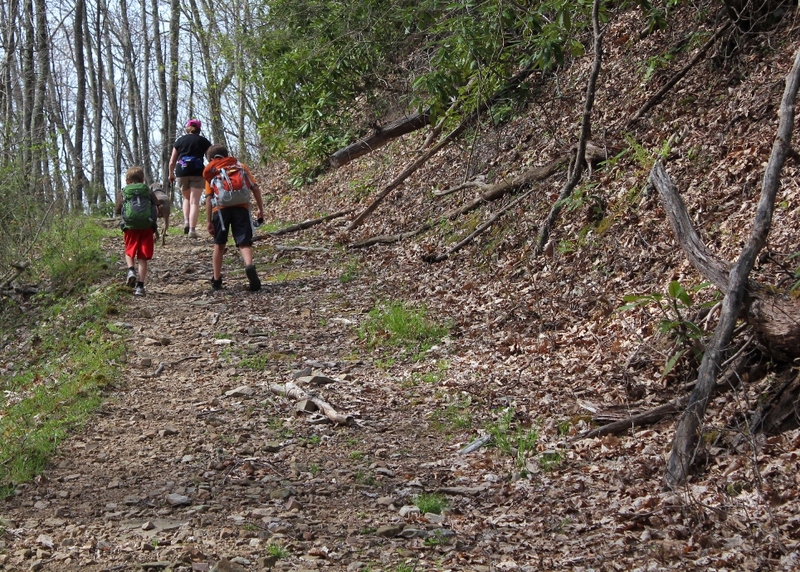 In mid-April my family and I drove to the upper trail head of Rowland Creek Trail. Our starting point was at 3850′. You reach this trailhead by traveling on FR 84, which is a gravel forest road. Getting to the trailhead from Route 600 takes about 20-25 minutes. This is an unusual mountain hike, in that the hike starts the top, so you start hiking downhill, and return going back uphill. Rowland Creek trail starts out wide as it descends around Seng Mountain, down towards the headwaters of the creek below. 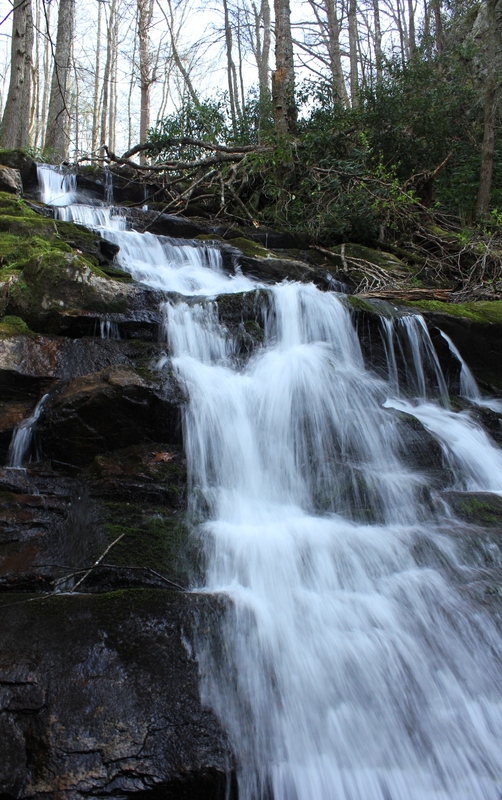 The area forms a mini-gorge, as the mountainsides are steep and drop quickly down into Rowland Creek. Where we started, on FR 84, there were no leaves. 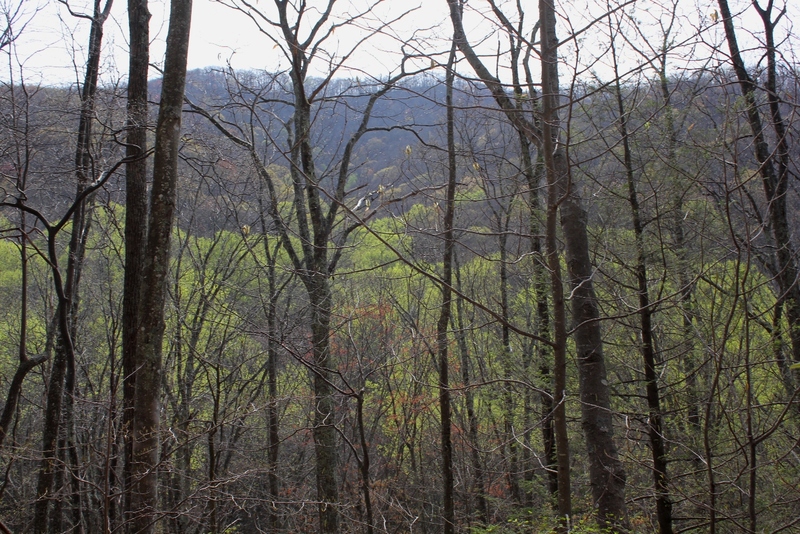 However, within a half mile of going down the trail, we descended into the foliage of springtime. The protection of the gorge-like formation protects the trees below from the elements, creating a micro-climate that is much milder than at the top. 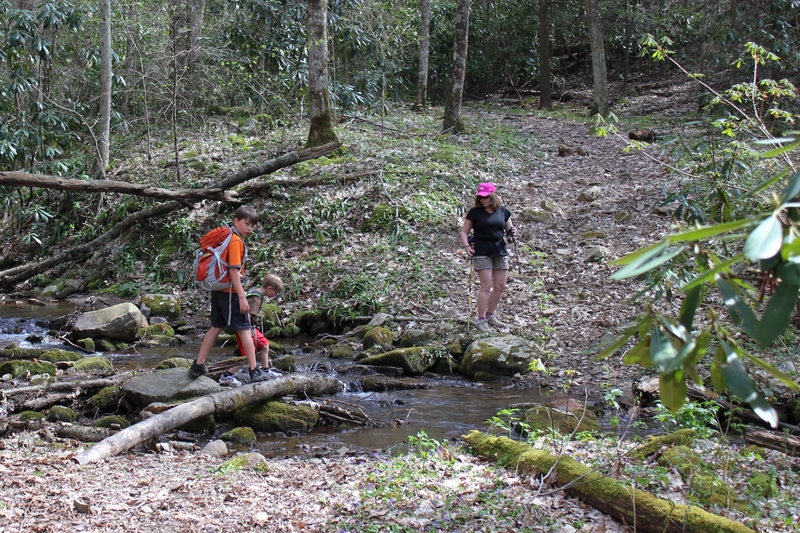 After several switchbacks, you arrive at the headwaters of Rowland Creek. 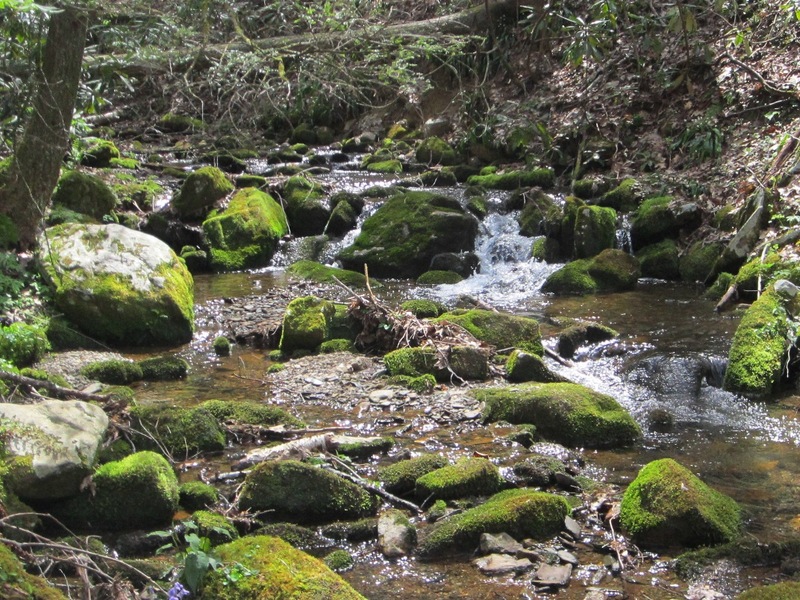 There are some nice potential campsites at the upper end of the trail, within easy walking distance of the creek. One thing we noticed is that the trail was quite moist and rutted out from horses near the creek. It is probably extremely muddy after rains. The trail roughly parallels the creek the rest of the way down the mini-gorge. The area along the creek is lush. We spotted numerous flowers. 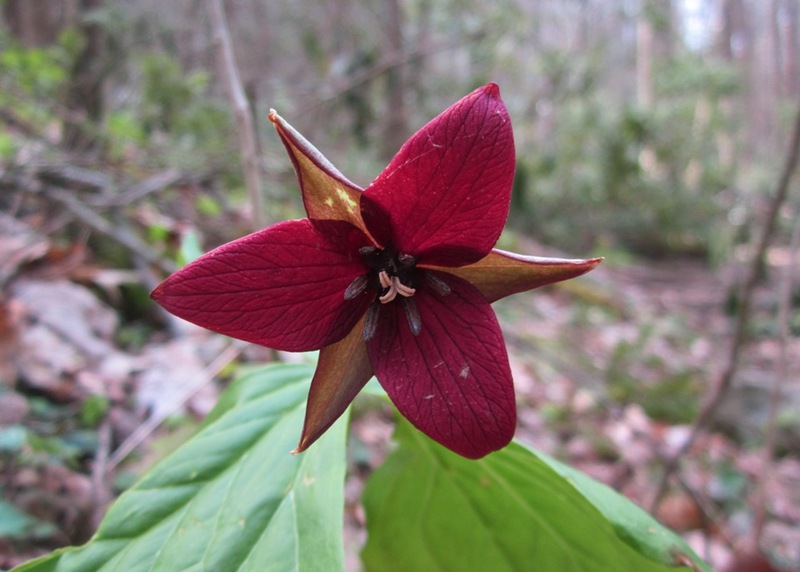 A bit of research shows that the trilliums we saw are native to the Southeastern United States, particularly in mountainous, gorge-like hollows such as that on this trail. They bloom in April or May at the earliest, while sunlight reaches the forest floor before the trees are fully leafed out. One thing we were not anticipating, but had some fun with, were the creek crossings. 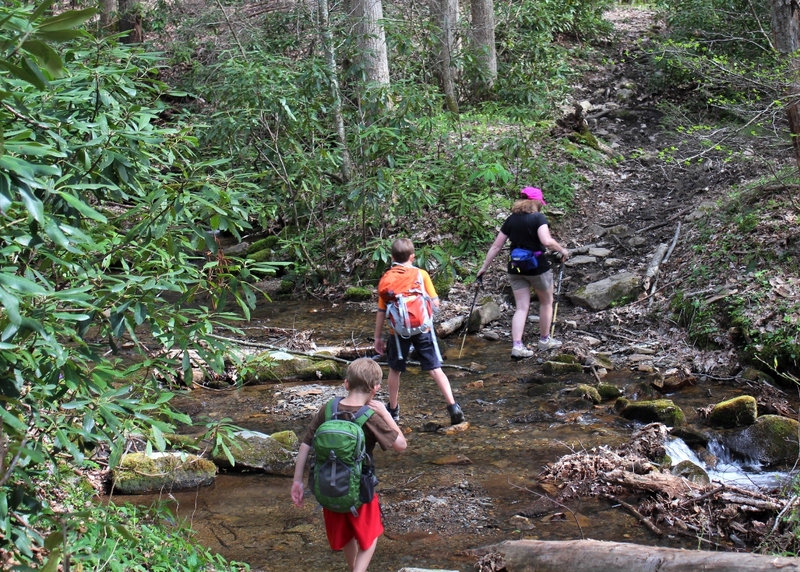 While none of the creek crossings were too difficult, we were hiking after several dry days. The trail could likely become completely washed out, and the creek crossings more difficult (at least to get across without getting soaked) under wetter conditions. 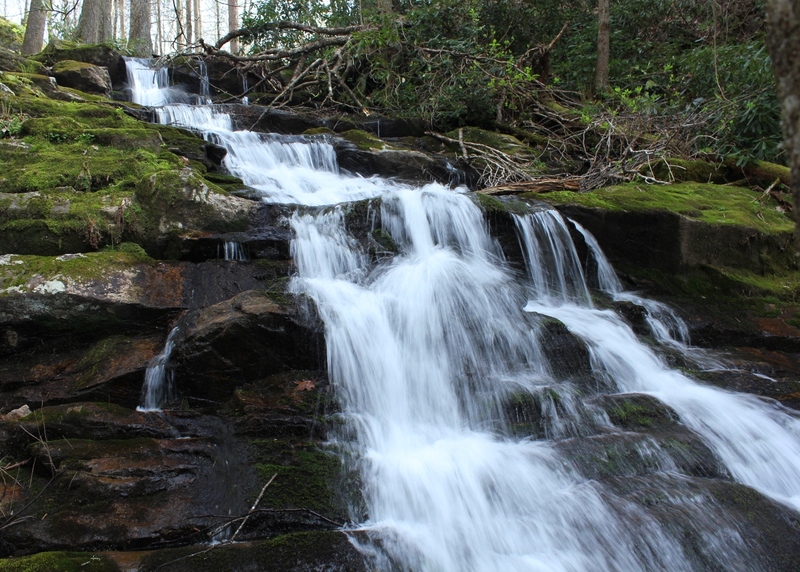 The highlight of this trip is most definitely Rowland Creek Falls, a 50′ cascade-type waterfall that drops down a series of stairs for about 80-100′. The falls are not directly on the trail, so we needed to go down a hill in order to get some clean shots of the cascades. Below is a map of the entire scenic area. Rowland Creek Trail and Jerrys Creek Trail can be connected by either FR 84, or an older, no longer used forest road that parallels FR 84 about 100′ downslope of it. This loop is about 12 miles in length. It is also used by mountain bikers, although there are sections that are very difficult due to the grade and the wetness near the creek beds.